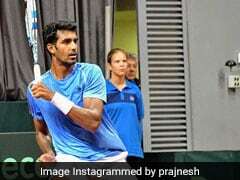 India would rely heavily on in-form Prajnesh Gunneswaran and favourable home conditions to upset former champions Italy in their bid to qualify for the inaugural Davis Cup Group Finals when the two teams clash in the Qualifiers starting in Kolkata from Friday. 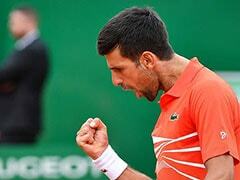 The rejigged Davis Cup enters a new era with 12 qualifiers across the globe on the road to Madrid Finals in November. 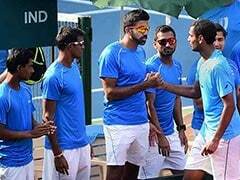 Against a team which leads 4-1 on head-to-head record, India have returned to their favourite Calcutta South Club (CSC) grass courts after 16 years. The venue boasts of an impressive 8-2 win-loss record for India, including the solitary victory over Italy in the 1985's World Group 1st Round. "It's grass, not clay! Maybe next time, we will play on clay against India. 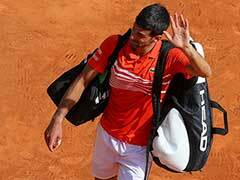 We have nothing to complain," said 1976 Davis Cup winner Corrado Barazzutti, as the non-playing captain of Italy. 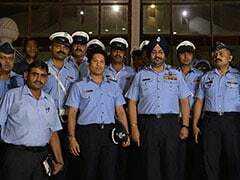 Another boost for India is the shortened format. The popular 'home-away' format has been retained for the qualifiers and the ties now will be held in two days with two singles on Friday and a doubles plus two return singles on Saturday. 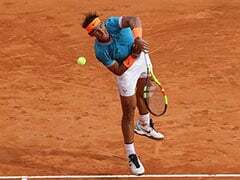 Matches will now be played over best-of-three sets in place of gruelling best of five, adding to the unpredictability factor and Italy, despite having three of their five players inside top-50, cannot breathe easy. 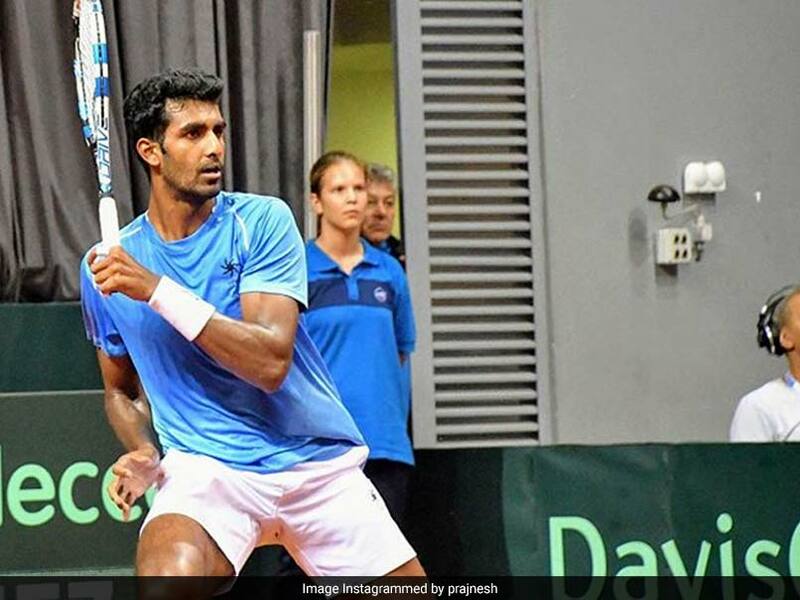 India's non-playing captain Mahesh Bhupathi has already said there is no room for excuses for the home side and would be banking on their top-ranked singles player Prajnesh (102) to get the hosts off the block. The big-serving southpaw, who is fresh from making his Grand Slam debut at the Australian Open, achieved one of the best wins of his career on grass when he shocked Canada's Denis Shapovalov, the current world number 25. And it's no surprise that Bhupathi will heavily bank on Prajnesh in singles while the most-experienced Rohan Bopanna will look to carry on his fine momentum with comeback man Divij Sharan in doubles. The duo won the Tata Maharashtra Open earlier this month. With the hosts needing to win at least three rubbers to secure a place in the finals, Prajnesh will play a key role, while the doubles will be equally crucial as has been the case historically for India. But it's easier said than done with world number 16 Marco Cecchinato spearheading Italy's challenge. Cecchinato won two ATP 250 titles last year, both on clay and it remains to be seen how the top-ranked Italian adjusts to grass. In world number 37, Andreas Seppi, Italy also have the most-experienced player. 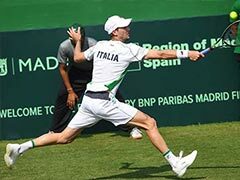 Italy also has doubles specialist in Simone Bolelli, the 2015 Australian Open winner, while 22-year-old Matteo Baerrettini, the youngest member of the side will give X-factor to the visitors. India lost 0-4 to Serbia in their World Group play-off clash in Kraljevo and the upcoming tie will be a litmus test for non-playing captain Bhupathi with reports indicating that his contract may not be renewed. The venue has produced some of the epic encounters for India in the history of Davis Cup, including the 3-2 win over Australia to reach the Eastern Final in 1974 but conceded the title to South Africa, protesting the Apartheid regime. But it was India's World Group first round win over Switzerland that had made headlines after they had triumphed 3-2 in a rain-interrupted tie which was termed "black magic" by the referee. "It had rained whole night and the referee had booked return tickets. But we worked whole night to get the court ready. In the morning, the referee came and said it is 'Indian black magic' and we won. Their big serving player Marc Rosset almost looked redundant," Bengal Tennis Association COO Sujoy Ghosh recalled.